EUROCIS 2019 SETTING THE SIGNPOSTS TO THE FUTURE OF RETAIL. EuroCIS: an event whose success just keeps on growing - as the leading trade fair for retail technology in Europe. Review of EuroCIS 2019, find out about our ancillary program in review! 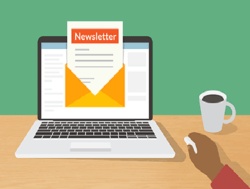 Recieve our EuroCIS newsletter: every 14 days the newest trends and infos - free of charge! The SunPOS is a very stylish POS System with the Top notch features at very economical price. The SunPOS encompasses top quality parts from well known manufacturers. 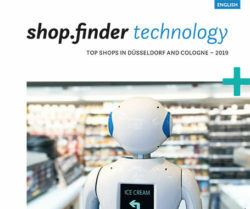 The stores+shops technology Shop Finder provides a curated selection of the most interesting stores in Cologne and Düsseldorf. Come with us on a trip through the retail scene of both cities. 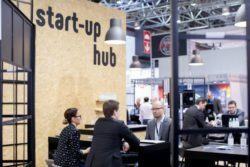 Start-up hub @ EuroCIS 2019 will be in hall 10 D04/E03. 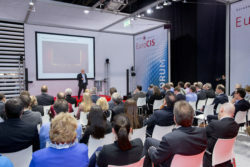 15 international start-ups will present their ideas to the EuroCIS audience. On "the stage" our Start-ups will present ideas and products, presented from Berlin Valley! 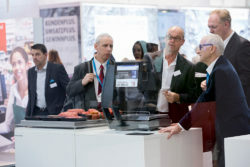 EuroCIS 2019, in partnership with retail expert Joachim Pinhammer, is once again offering guided retail technology innovation tours of the exhibition to visitors. A new study from Juniper Research has found that nearly 2.1 billion consumers worldwide will use a mobile wallet to make a payment or send money in 2019, up by nearly 30 percent on the 1.6 billion recorded at the end of 2017. Traditional and online retailing are increasingly intertwined as customers seamlessly shop across touchpoints and the industry uses both platforms to better serve them, according to the annual State of Retailing Online study released by the National Retail Federation and Forrester. Even though it seems everyone is talking about voice-assisted devices and smartwatches, the majority of consumers don't own these new devices, and even fewer use them to complete purchases, according to a recently released study by Episerver. For the 11th year running, EHI has selected the winners of the Retail Technology Awards Europe (reta). At the official awards ceremony – part of EuroCIS 2018 – in the Rheinterrasse restaurant in Düsseldorf, three equal prize winners were honoured in the following categories: Best Customer Experience, Best Enterprise Solution, Best Instore Solution and Best Omnichannel Solution.